Halloween haunts the Pierpont Inn in Ventura. 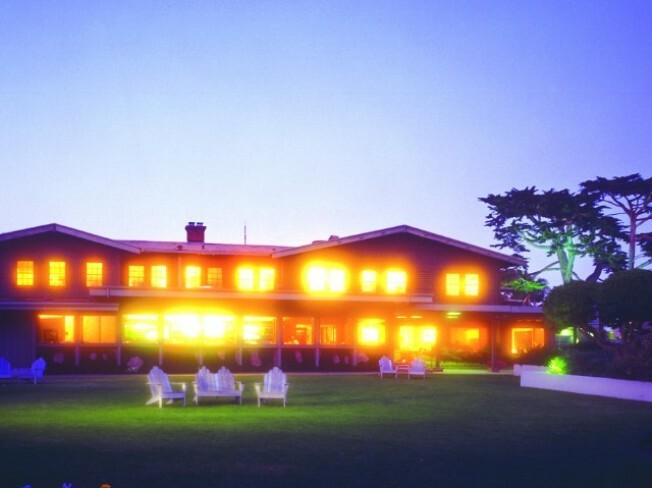 The Pierpont Inn & Spa: It's the historic Craftsman hotel that is all about great deals. Oh, and ghosts. How historic? The beach-close landmark will celebrate its centennial in 2010. It's even part of the Historic Hotels of America group. How ghosty? Word is, very. There's a wandering wraith who goes by the name of Emma Darling. New owners took over the property last spring, and renovations around the Pierpont have apparently stirred up buckets of otherworldly activity. Halloween hijinx: On Friday, October 30th, a scholar on all things spectral will be doing a live radio broadcast from the hotel from 7-10AM; there will also be tours of some of the inn's spookier nooks. There will also be drink specials and a costume contest come Halloween night (with a prize that includes an overnight stay). Overnighting at the Pierpont: A few impressions of the hotel have stuck with us since we stayed a few years back. The beautiful Craftsman main building's cozy lobby is a nice place to be on an October night. And the hotel is 101-close -- very -- but here's our feeling about that: we live in LA, it's no biggie (we also say it's "no biggie" because we live in LA). And on the other side of the freeway is the Pacific. More Pierpont points: The friendly staff. The knowledgeable bartender who made us a exceedingly dry martini we still muse about. The tiled-out fireplace in the lobby, and the majestic cypress trees dotting the grounds. And brunching in the ocean-facing dining room on a pea-soup-foggy Sunday. Was Emma Darling sitting at our very table? We hope so. We would have certainly shared our home fries with the haunt if we'd known.